Window problems are never just singular issues. They are often the start of several other dilemmas that plague households across the United States. There are common problems that windows can experience, but with these come other effects that could be detrimental to your home. Addressing your window issues right off the bat could save you time, money, and headaches down the road. Examining your windows on a routine basis, at least once a year, can help spot these common problems and prevent the further damage they may inflict on your home. Even for newer windows, doing a quick inspection won’t hurt. Some of these problems can be fixed easily, and if caught early on, there’s less of a risk of severe damages. Drafty windows simply aren’t doing their job. If you have drafty windows, then you have more than a few problems on your hand. First, your windows are not energy efficient, a matter that should be prevented to make your home more energy efficient. You could be cranking the heat or air conditioning in your home only to let it escape through your drafty windows, neutralizing the energy output completely. Not only is this a waste of money, but it’s also damaging for the environment. 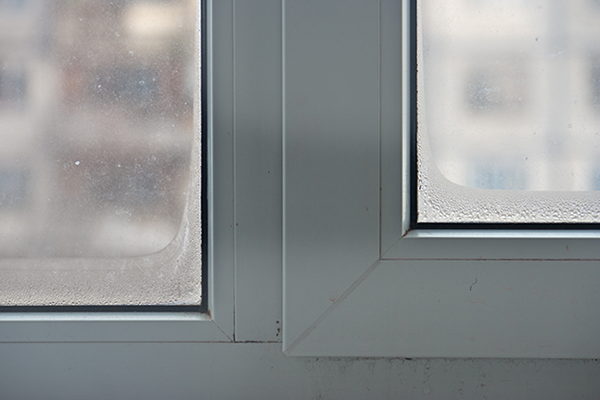 Drafty windows are often older windows, and the only real, unfailing way to stop drafts is to replace the windows entirely. Yes, this is a big investment, but keep in mind that with energy efficient windows, there is less work for your furnace or air conditioner, as well as less stress on your wallet. Consider the resale value of new windows if you do not plan on remaining in your home forever and cannot enjoy the energy savings long term. Condensation isn’t a terrible problem. It actually can be a sign that your windows are functioning well, keeping the warmth inside. However, when moisture builds up between the panes of glass, then this is a different story. When moisture occurs here, it can mean that your windows have a seal failure and are not as energy efficient as they can be. Combined with the feeling of cold air coming through fogging windows, this is a clear sign that your windows need updating. You’ll want to address this issue right away if you are unable to wipe the moisture off your window because it means you need a new seal. If a new seal doesn’t do the trick, then you might need to consider looking at getting replacement windows. 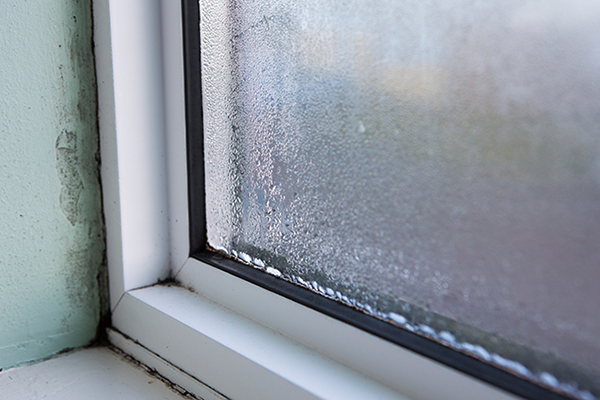 Keep an eye on your windows to see if the new seal or weather-stripping is performing, and if it’s not and you still spot condensation or fogging, then the problem is with the window itself. It’s not ridiculous to want your windows to open and close with ease, but sometimes windows will become faulty over time, refusing to function properly. Occasionally, faulty windows just need a change of hardware or an inspection of the sash support system. The problem could also be the crank itself that requires replacement. If your windows are faulty, the problem needs to be addressed right away so your home doesn’t become an easy target for intruders. If you have more than one faulty window, this could be an indicator that the windows are old or possibly warped from years of exposure to moisture and other elements. Wood windows are prone to rotting and warping significantly more than vinyl windows. Preventing rotting and warping requires a homeowner to do a routine maintenance check on all wood windows installed in the home on a yearly basis. Rotting can mean that there’s moisture that has seeped into the wood over time. This can lead to mold and bug problems. Warping also indicates that moisture has changed the structure by expanding and contracting with temperature changes. While you can sand and stain wood windows again and again to ensure their functionality and to prevent rotting, the best and easiest solution is to consider investing in vinyl windows. Vinyl windows do not rot and are much more effective at resisting moisture than wood windows. Unlike wood windows, there is no need to maintain vinyl windows. Vinyl windows just require the occasional replacement hardware, but normally, these windows have a lifespan of twenty years or longer. If the wall on the inside of your home is stained around or beneath the window, you have a big problem. Water leakage, as you’re already aware as a homeowner, is never a good thing because of how many other problems it can cause. Mold, mildew, and the weakening and warping of your home’s structure can arise with the presence of excessive moisture. There are many reasons why your windows could be leaking, which makes doing a routine check of your home a necessary plan for prevention. For many homes, a leaking window is a sign that the caulking and sealing have gone bad. For others, it’s a matter of checking your gutter system to ensure that the water is being redirected away from the home instead of finding its way near your windows. Prevent leaks by first identifying where the water is coming from, then check your windows for any needed sealing, caulking, or weather-stripping repair. Cracked window panes may seem like they only occur when an accident happens and something or someone creates an impact against the glass, but that’s not always the case. You could have a new window and see a crack the next day and it could be caused by what is known as a stress crack. Stress cracks occur in window panes when a thermal gradient forces specific areas of the glass pane to expand. Then what happens, the stress of the expansion may overwhelm the durability of the glass, resulting in a stress crack. The scenario is similar to when cold water is poured into a scalding hot dish, and this uneven thermal expansion causes a break in the glass. Stress cracks happen more often in a large window, especially if they are beneath overhangs or are recessed. During temperature shifts, big windows with large surface areas can crack because of the uneven distribution of thermal expansion. Environments that have hotter temperatures during the day and cooler temperatures at night can also be blamed for these stress cracks. While these types of cracks on your windowpanes cannot really be prevented if they do occur you can replace the window with a thicker glass that is designed to accommodate temperature shifts appropriate for the climate you live in. Tempered or heat-strengthened glass that is 4mm instead of the standard 3mm will cost more but you won’t have to worry nearly as much about stress cracking. Windows are responsible for keeping the energy inside the home, to open and close properly, and to keep us protected while allowing us to enjoy natural light. If your windows fail at any of their main jobs, then you should think about replacing them. Replacement windows can offer security, energy conservation, savings, and increase the resale value of your home. When it comes to window problems, the easiest and simple all-in-one solution is to get them replaced. Consider getting vinyl windows that will ensure the best fit and provide maximum energy efficiency. At Feldco Quad Cities, we have a variety of styles, colors, and options that are suitable and convenient for your home. Speak to a product specialist and get a free quote today.